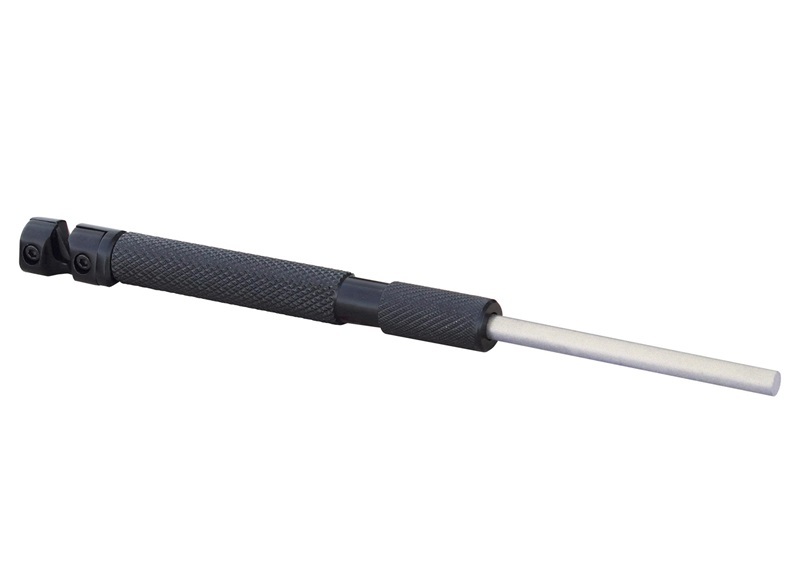 The Lansky Tactical Sharpening Rod is designed to quickly put an edge on your knife. It features two sharpeners in one. 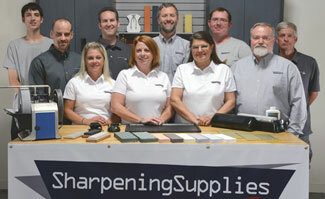 The first is the fast-sharpening tungsten carbide sharpener with an easy to use pull through style. The second is the retractable diamond rod for maintaining your knife. The diamond rod slides into the durable metal casing. When retracted, the whole tool measures just over 6 inches so it can easily be put into a pocket or glove box. The sharpening rod itself measures 3-1/2". Step 1 - Draw knife blade through Tungsten Carbide slot 3 – 4 times to sharpen the blade. Step 2 - Open the tactical rod by gripping the casing firmly and twisting the cylinder at the end (opposite of the tungsten carbide) counter clockwise. Step 3 - Let the tactical rod come all the way out of the casing and then twist the cylinder at the end clockwise to lock rod in place. Step 4 - Place the end of the sharpener on a stable surface at an angle and draw the knife edge down the rod as if you were attempting to slice a thin layer off the rod –repeat this motion 3 – 4 times using light to moderate pressure. Maintain a consistent angle for the best results. Step 5 - Repeat Step 4 on the other side of the blade. Note: Do not apply oil to Lansky Diamond surface: clean diamond hones with water and wipe shavings away with a lint-free rag. Diamond hones should be completely dry before next use.